For those of you familiar with Dubai, you’ll know this is the land of superlatives, so now, add Ain Dubai to the list. Dubai always leaves me awestruck. Decades ago, when they first started building here, everyone wondered how they’d ever fill up all the hotel rooms, apartments, villas, private islands, luxury villas, shopping malls – but fill up, they have. The crash of 2008 feels like a distant memory. Okay, some areas are less lit than others, but take a walk around the Dubai Marina, and it’s a bustling area, teeming with tourists and residents. Somehow Dubai makes the unnecessary necessary and the impossible possible. And they haven’t stopped building. In anticipation of World Expo 2020, more room supply is coming on in Dubai. According to STR Global, which presented at AHIC (Arabian Hotel Investment Conference in Ras Al Khaimah) the next day, a total of 23,444 rooms will open in 2019, followed by another 22,815 in 2020 and 11,299 in 2021. Hotel occupancies are holding up at the moment but ADR is under pressure, and rate parity, if it ever existed, will be like a mirage in the desert. Here are the key takeaways from WiT Middle East 2019. OTAs and metas - whether global, regional or local - are benefitting from this shift and oversupply in the market. Startups are emerging, although the investor ecosystem was described as “immature” by serial entrepreneur Mohammed Chibib, who was formerly with the Al Tayyar Travel Group, and now working on his next travel startup, Manal.com. Booking.com, the market leader, has grown from fewer than 10 staff in 2011 to more than 190 in the region. It’s launched its new product, Booking Basic, which offers third-party inventory and that is causing “pain in the market” as one hotelier described it. Agoda is investing in brand building, and you can’t miss its billboard advertising along the highway. Expedia will be launching Brand Expedia soon, and on the partnerships side, it’s pushing its new free tool, RevPlus, to hoteliers in the region. Etraveli, the European-based flight OTA, is making a big push into the Middle East, and Lisa Katsouraki, vice president, corporate development, when asked if she had brought her check book, said, “Yes, come talk to me.” It’s interested in developing its B2B business as well as hotels. While global brands have scale - and lots to spend on Google - regional brands, which had their beginnings in similar emerging markets like India, Africa and Southeast Asia - are having to dig deeper into each market even as they expand across the region. Stuart Crighton, CEO and founder of Cleartrip, which claims a 65% market share, said it’s a constant battle for customers and you can’t take your eye off the ball. His company is not normally acquisitive, he said, but its purchase of Saudi Arabia’s Flyin in June 2018 was absolutely the right thing to do because it gave it traction with local customers. Ross Veitch, co-founder and CEO of Wego, cited Google as the biggest existential threat to OTAs and metas, especially now that it’s introduced Google Hotels in the market, and getting deeper into the travel funnel. Cleartrip executive vice president Sameer Bagul said the days of free traffic are over and everyone will have to get smarter about acquiring customers. That’s about building the right product with deeper localization than can be done by the globals, and building brand and loyalty, beyond price. Rehlat, the Kuwaiti-based OTA, uses Karam Cash as a tool to build loyalty among customers, but Bader Al-Bader, CEO and founder, admitted he’s faced challenges shifting his business from flights to hotels. His strategy is to dig deeper into the Kuwaiti market while continuing to expand across the GCC. Musafir has succeeded in reducing its dependence on air with CEO Albert Dias saying that 51% of its business now comes from non-air, with a big chunk of that visa issuances. It’s setting its sights on “the consumerization of corporate travel” and a huge under-served SME market. After a challenging 2018, Holidayme, the holiday package OTA, has developed an Umrah/Haj product which combines visa approval with packages. This will help it go after the 30m Haj/Umrah target set by Saudi Arabia by 2030. It is clear everyone’s trying to find their own groove, and it is also evident everyone’s dancing with each other as the market reaches inflection point. It reminded me of those early years at WiT when everyone was trying to find the right partner to help them get through life. Sanjay Sharma, who was head of innovation lab and transformation lead at Emirates Group, is now leading a similar charge at Jumeirah Group and Jumeirah Hotels & Resorts. He wants to take lessons he’s learnt in aviation to apply to hospitality. He recalled an innovation at Emirates Airlines – the premium full boarding experience which empowered staff with the right data sets to personalize service to premium passengers once onboard. Similarly, airlines have lots to learn from hospitality when it comes to the guest experience. At Jumeirah, his mission is to create a central data bank and add an intelligent layer on top of that to help its hotels deliver personalized services. 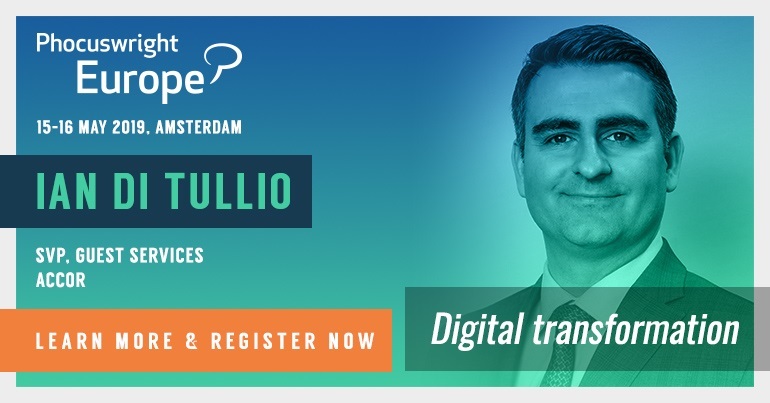 The purpose of IT is to fulfill three functions – to connect assets to data, it must empower people to offer better customer service, and it should help customers make faster decisions. One interesting startup he came across while at Emirates was a “wearable” which measured anxiety levels, and the airline found out that passengers’ highest anxiety moments were during boarding – when you worry who’s sitting next to you and if you will have space in the overhead bin for your luggage. With this information, the crew was able to step in to alleviate high-anxiety moments. I wonder what results this anxiety wearable would produce if worn by hoteliers in Dubai? All eyes are on Saudi Arabian-based, publicly listed Al Tayyar Travel Group, with everyone wondering what it will do with its considerable war chest as it continues to transform from offline to online. It was also an early investor in Careem, which was acquired by Uber, for $3 billion – so that must have added considerably to its war chest. At WiT, its executives expressed interest in expanding into the alternative accommodation and tours and activities sectors. Its focus remains on building up Almosafer, the startup it bought, into its consumer travel brand, and it is pursuing an omni-channel strategy blending physical kiosks with online sales. “We want to be where the customers want to deal with us,” said Muzzammil Ahussain, executive vice president. 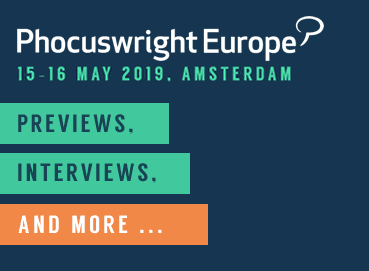 Learn the key trends happening in a market of an incredibly young, social and mobile population at Phocuswright Europe May 15-16. While there are skeptics who wonder how a traditional travel company, founded in 1980, can keep a culture of innovation thriving, Ahussain said that actually things were happening in reverse, in that the new culture that built up Tajawal and Almosafer was spreading to the rest of the organization. And that is what the Centre of Excellence, run by former Cleartrip executive Tarique Khatri is built for. It is about building a foundation of innovation that can be tapped into by the different business units, he said. Most importantly, he said, “is to let it run independently by a different team." Al Tayyar’s home market, Saudi Arabia, is the prize for everyone, and to win it, you have to get mobile right. Sudeep Ghai, chief customer and experience officer of Flyadeal, the new low-cost airline, said, “Most people have two smartphones,” commenting that Saudi is a good test bed for what a mobile-only market would look like. Flyadeal drives 90% direct business, 60% of which is on mobile. Launched last September, it doesn’t work with any GDSs or metas, preferring to go its own way, and Ghai cited Google as his most effective channel. This mobile trend is creating a last minute phenomenon with Ghai saying that almost two-thirds of its travelers book in the last seven days. Remo Abbondandalo, vice president, business development, MENA, for Checkout.com, shared Cleartrip/Flyin’s statistics that showed that 65% of Saudi travelers book their travel plans via mobile the same week of travel, while 27% of Saudi mobile bookings are made within a 48-hour window prior to travel. For Visit Britain, it is the top performing market in the region, said Tricia Warwick, director Asia Pacific, Middle East, Africa for Visit Britain. The Middle East accounts for about 400,000 visitors to the U.K., they are big spenders and their average stay is 12 days. Almost 90% of Visit Britain’s advertising spend in the region is on digital channels. Almost all brands which spoke at WiT singled out Saudi Arabia as the key market of interest, although Wego’s Veitch said it was also seeing good growth from Turkey and Egypt. Most talked about is Saudi’s plans to open up to leisure tourism. Al Tayyar’s Ahussain said it is likely that visas would initially be given to event-based travel, but the kingdom has announced ambitious development plans that put Dubai’s in the shade. The Red Sea Project is one of three giga projects announced by the Crown Prince and it will create “an exquisite ultra-luxury destination within a pristine 28,000 km² area that includes an archipelago of more than 50 unspoiled islands, volcanoes, desert, mountains, nature and culture.” Imagine a Maldives-like destination, only more upscale. The price tag – $500 billion. The first phase is set to open by 2022. It doesn’t sound like it’s going to be one of those attractions I can cover on a morning walk. * This article originally appeared on WebinTravel.